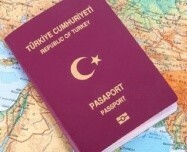 Citizenship in Turkey for the buyers of Turkish real estate. Our knowledge and 15 years of experience will help you to properly invest in Turkey to obtain Turkish citizenship! The question of how to sell real property in Turkey correctly and safely concerns a lot of our readers. What risks and pitfalls may that involve? How to avoid making mistakes and do everything correctly? How to strike a good deal and not to end up owing excessive taxes and duties? 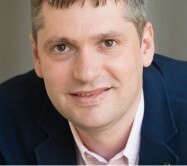 We are discussing this subject with Sergiy Volchenkov, Director, Tolerance. According to international consulting company Knight Frank, which published a rating of housing prices Global House Price Index, in Turkey, for the fourth quarter of 2015, the cost of this type of real estate increased by 18% compared to the figures for the same period in 2014. We are pleased to announce the simplification for foreigners of the procedure of the purchase of and registration of title to real estate in Turkey! Now the terms for obtaining documents have decreased from 1.5-2 months to 2-5 days! Turkish Ownership Act has changed. The article dealing with the purchase of real estate in Turkey by foreign nationals has been amended: now a number of restrictions on the purchase of Turkish real estate by citizens of dozens of countries have been lifted. 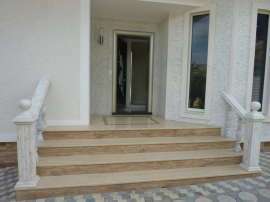 Konyaaltı – a district of Antalya which is especially loved by foreign buyers of real estate. Soon this district will be transformed, and it will bloom thanks to a large-scale construction project on the Boachay river.